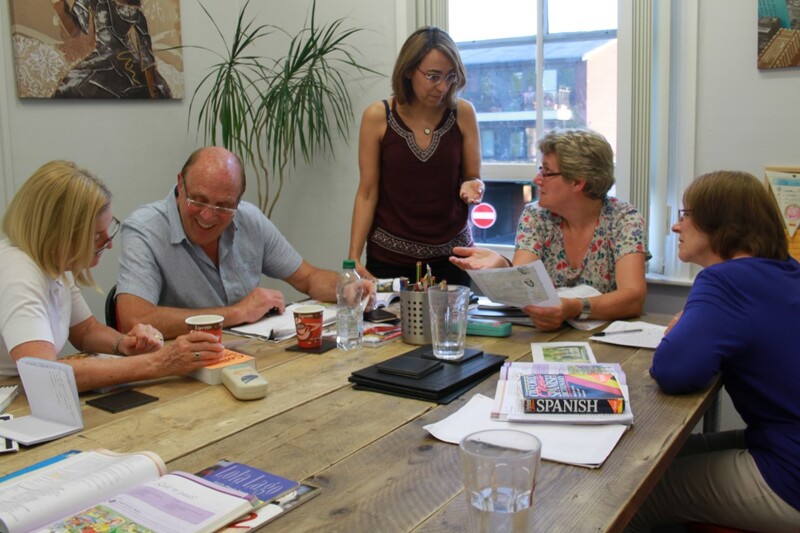 At la Academia’s Manchester language school our team of inspirational teachers provide evening classes in Spanish, French, Italian, German, Portuguese, Russian, the learning of English as a foreign language (EFL) and Chinese amongst others. Our classes won’t have you stuck behind a desk – they’ll be fun, interactive and engaging. We’ll work with you to develop a programme of learning, ensuring that each session teaches you exactly what you want to know. We also organise a range of activities, including visits to exhibitions, the cinema and international restaurants, where you can practise and develop your new skills. At our last session, we always organise a party, with international food and drink, where you’ll use your new language as much as possible! So, whether you’re looking to learn a new language or you want to improve your skills, our team will unveil the magic of language through enjoyable and engaging courses. Each course runs for 12 weeks, with two-hour sessions taking place each week.